Sometimes the weather is a great influence on what one wants to eat. It was a sweltering hot and humid day, and it reminded me of the Big Easy. Here I was in Wyandotte, Michigan and the humidity was reminding me of The French Quarter in New Orleans. I have been there when it is so hot, that as soon as you leave the hotel it feels like you have walked into a wall of pure water that is just there, not moving, but totally soaks you. This was one such day. 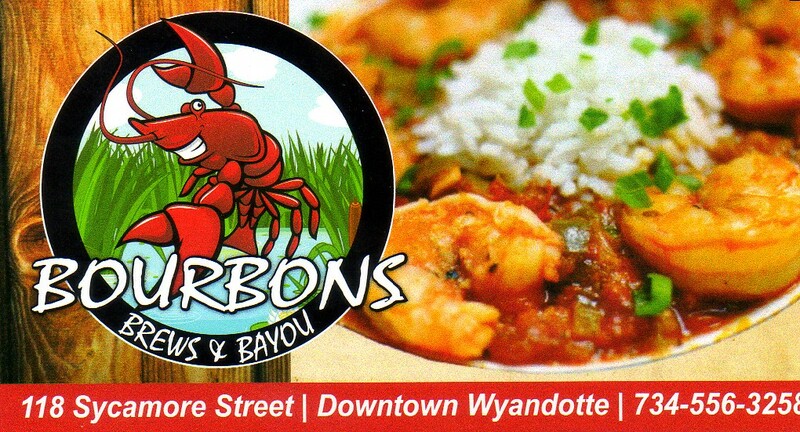 I went into Bourbons Brews & Bayou a relatively new restaurant in downtown Wyandotte, which seems to be a magnate for independent eateries, and there is nothing wrong with the independents, in fact I tend to prefer them over the big chains. I looked at the menu and there was an entrée Jambalaya just calling my name, like a Siren. There is something about that dish on a hot day that just seems to raise one’s internal temperature and makes the outdoor weather more pleasant. This particular Jambalaya was made with chicken, shrimp and Andouille sausage with just enough rice; some places load up on the rice at the expense of the other parts of the meal. Since it was so hot, as soon as I entered I ordered a glass of Cortenova Pinot Grigio della Venezie IGT 2014. I guess I should mention that the Venezie is not the Venice that one immediately thinks of when they think of Italy, but the area is referred to as Tre Venezie or the Three Venice’s and all wine producers. In fact “della Venezie IGT” is about seventy percent Pinot Grigio, which is how well this varietal has done in the area. I think that I like Pinot Grigio wines more and more, because they tend to be so light and easy to drink and they seem never to clash with my meal. I think that I have been drinking more of it lately, because we have had quite a hot summer and a soft Pinot Grigio that has been chilled just seems to be the right ticket. While I was there, they also offered me a taste of a wine that they are thinking of stocking, and while it was delicious it requires another trip back there to try a full glass of it, to see if I still agree to my initial taste. 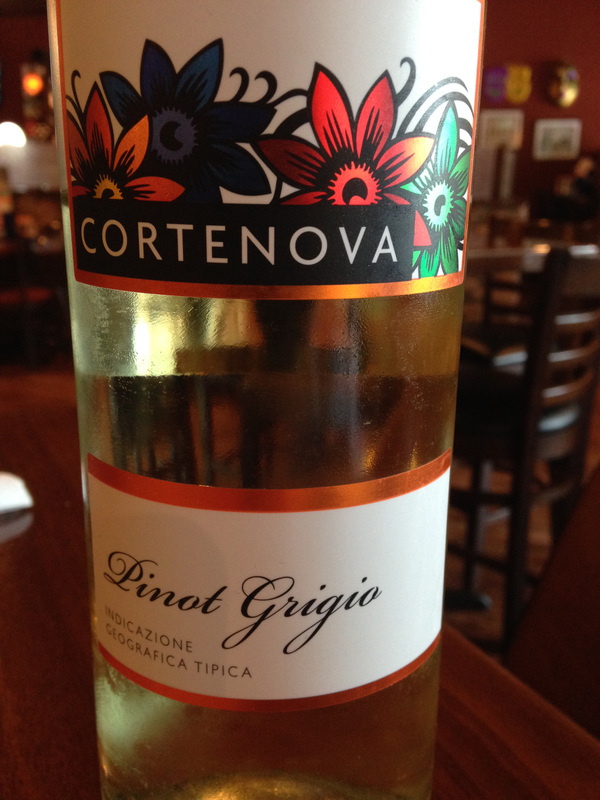 This entry was posted in Dining, Wine and tagged Cortenova, delle Venezie IGT, Italy, Pinot Grigio. Bookmark the permalink.